the price-to-income ratio, a gauge of affordability, and the price-to-rents ratio, an analogue of the price-to-earnings ratio used to judge the equity value of listed firms. 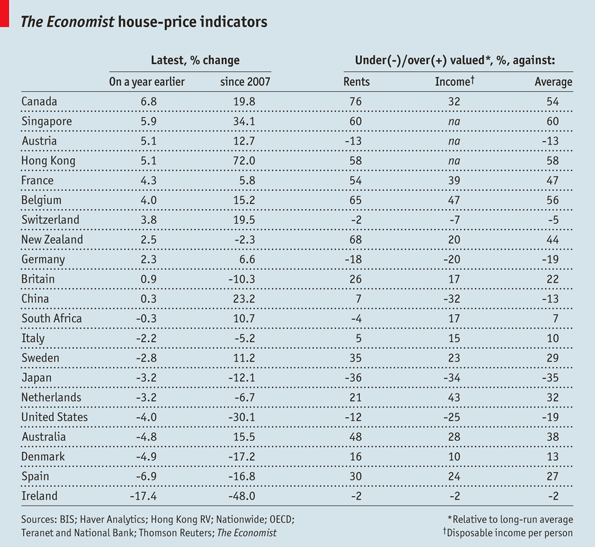 By these measures, here’s their table on key undervalued/overvalued countries. Note the U.S. is 19% below fair value. That said, the U.S. is an absurdly large sample size, as I discussed last week. That piece was the latest in my series on how to price a home locally. It’s a must-read on methodology of national home pricing, and why lacks local relevance.